For this time of year, the past few months have been out-of-character for fishing on the East Cape. 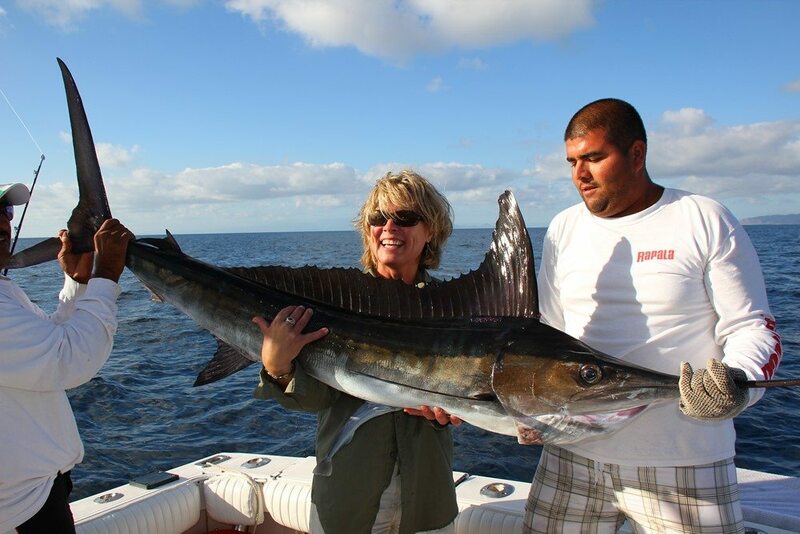 After a mild winter and above-average sea surface temperatures for the winter months, optimism was high when striped marlin appeared in abundance in February. The early signs of inconsistency in the bite, with schools of marlin appearing and then disappearing at will during that time, should have been an indicator. Instead of the fish arriving on the East Cape (where they migrate to spawn) and then staying in our waters in increasing numbers until the peak May-June billfish bite, the marlin disappeared. In recent weeks, they’ve finally re-appeared, with boats having shots at marlin most days. Anglers are releasing these fish. This week, we had a surprise blue marlin caught, weighing 420#. Typically, the big blue and black marlin don’t visit East Cape waters until late May, and opportunities to catch these prized fish last until November. Unfortunately, the fish caught this week expired during the battle. The angling excitement these past few weeks centers on the arrival of some beautiful yellowfin tuna in our fishing grounds. And these aren’t the “schoolie” footballs weighing 10 pounds that usually arrive early to kick of the peak fishing season. Average fish are 20-35# with some bigger ones mixed in! In addition, sporadic catches of some big mahi-mahi are putting smiles on anglers’ faces. The dorado bite isn’t consistent yet, but the fish are a beautiful average size. In addition, wahoo have started showing up in strong numbers and are running in the 30-40# class. Prized roosterfish are available as well. Along with other inshore opportunities to catch snapper and amberjack, anglers have already caught and released roosters in the 20-45# class. Awesome early start to peak roosterfishing season in June and July!! If you’re planning to fish the East Cape, the April bite indicates the summer and fall fishing season of 2017 will be a bruiser! Make plans today for the fishing trip of a lifetime!